Gather ‘round, wrestling fans! One thing the most casual of casuals and the smarkiest of smarks have in common is that we all love the Royal Rumble. 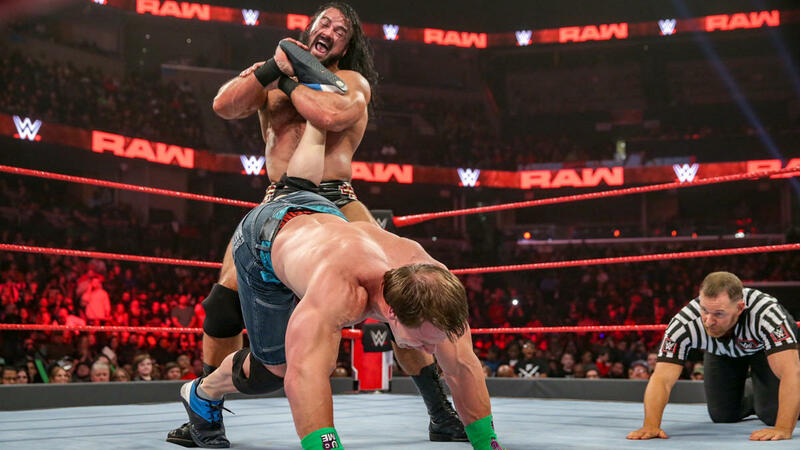 It’s one of WWE’s most exciting events of the year because seriously, where else can you find a conglomerate of WWE Superstars battling it out for glory? And when there’s a PPV, there are a bunch of smarks ready to dish out predictions. Yes, we are those smarks. 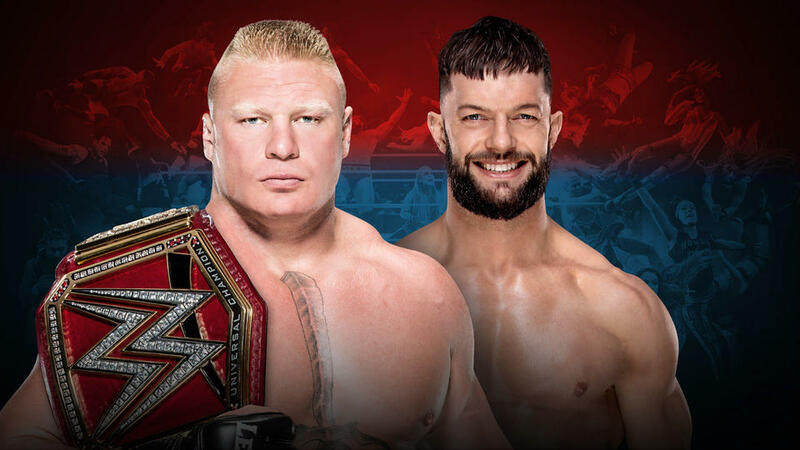 Plus, Finn Bálor finally inches closer to the WWE Universal Championship but he has to take it away from the grasp of Brock Lesnar. How’s that for a sticky situation? Meanwhile, the “new” Daniel Bryan wants to make the “real” AJ Styles’ life miserable by throwing soda at random people. How many hotdogs will they waste this time? Leading this special roundtable are two of Smark Henry’s weekly reviewers. Making his debut as a Rumble panelist is our favorite RAW rambler Jofer Serapio! Opposite him is the guy who keeps picking Becky Lynch for every match, SmackDown Live pen-pusher Ricky Publico! We also have the ridiculous Raf Camus, the tito-rrific Enzo "Tito E" Tanos, and Miz’s evil twin, NXT reviewer The Migz, to round up our panel this year. So place your bets errbody, we got a lot to tackle. Who’s your pick to win the women’s Royal Rumble Match? Jofer: The Man, Becky Lynch. It’s Asuka’s first PPV title defense and my brain tells me it’s too early for her to drop the title at the Rumble. Besides, Becky is heading for a collision with RAW Women’s Champion “Rowdy” Ronda Rousey, along with Charlotte Flair maybe, and a Rumble win would be a great way to start her ascent to WrestleMania main event status. Ricky: Becky Lynch. I picked her last year because I genuinely want her to get a massive push. This year, she’s still my pick, even after receiving a massive push. There’s no better pick here unless you like Charlotte Flair that much. We need Lynch to main event WrestleMania because it’s only logical to do so. She’s the hottest thing in WWE right now unless you like Ronda Rousey that much. So yeah, book it, Vince! Camus: The Man, Becky Lynch. This is how she finds her way into a potential WM main event program with Ronda Rousey, giving us a true spectacle at 'Mania. The table is all set for such a move, and let's hope they give us the right human being for such a moment. She loses to Asuka earlier in the evening, and returns for this match. Tito E: Boy, this is a tough one. Does Becky win the Rumble Match to get a chance at Ronda Rousey, or does Charlotte do the same to definitively insert herself in the Becky vs. Ronda feud? Either scenario makes sense, but Becky Lynch losing to Asuka, then making up for it by winning the women’s Rumble tells a better, less convoluted story. Let WWE figure out how to insert Charlotte into the equation if the rumors of a Triple Threat at ‘Mania are accurate. 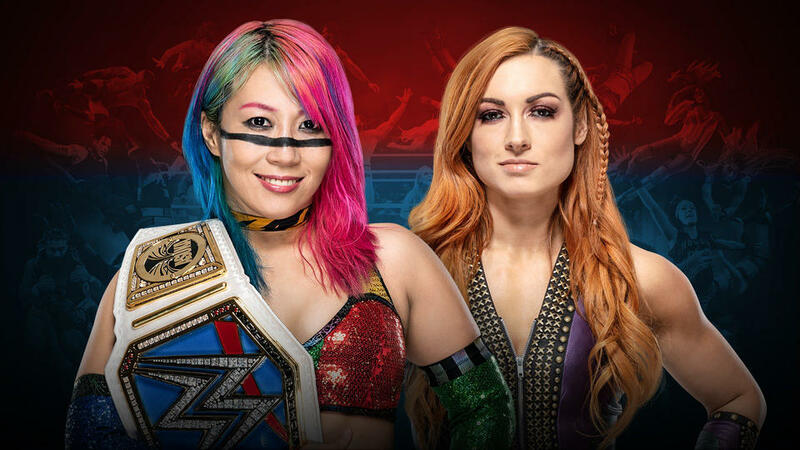 The Migz: Normally, I’d like to play devil’s advocate since I have a feeling they won’t give her the win, but I’ve got too much love and adulation for The Man, Becky Lynch for me to pick somebody else. Logically, it should lead back to Rousey vs. Becky at ‘Mania to give fans the very first female WM main event. Who’s your pick to win the men’s Royal Rumble match? 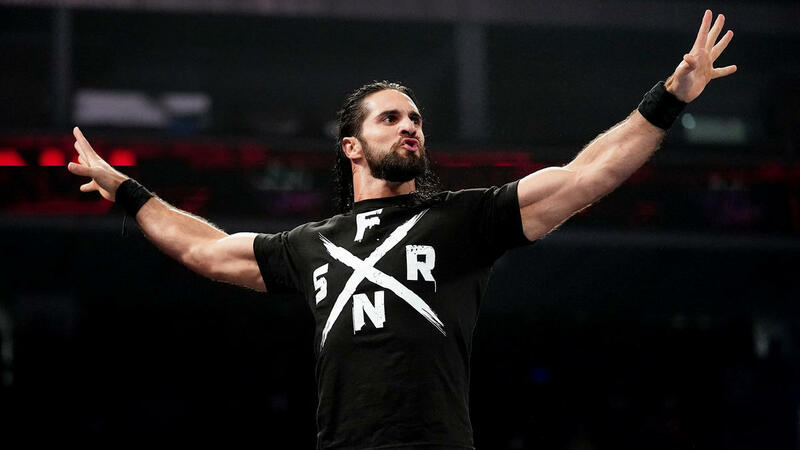 Jofer: Seth Rollins may be rumored to be the clear favorite to win this year’s Royal Rumble match, but do you know who else was previously rumored? My amigo, Andrade “Cien” Almas... or just Andrade now apparently. Let’s face it, no matter what happens, WWE can just “magic” Seth versus Brock (or Finn for that delicious Kingslayer versus Demon King matchup I will never stop talking about) at WrestleMania and we’ll all just be fine with it. Andrade has all the talent in the world to be a main-event player, just not the clear path to a championship match at the grandest stage of them all. Winning the Rumble would set him up for the opportunity of a lifetime and the rest of us for quite possibly one of the greatest matches of ours. Ricky: How about AJ Styles? I mean, we’re expecting Becky Lynch to be added to the Rumble after losing to Asuka, right? Why not Styles? Let’s have him beat someone up for a spot, too! Then we can get Styles vs. Bryan III, this time at The Grandest Stage of Them All, their bland storyline be damned. Camus: If there's anyone I'd want to win it all this year, it's Seth Rollins. The man has been denied his rightful spot as undisputed top guy holding that cursed Universal Championship belt. If it's Finn or Brock that he has to face at Mania... doesn't matter. When the dust clears, I want Seth to win the Rumble, and win at Mania. Tito E: If rumors are accurate and WWE will be going with Brock Lesnar vs. Seth Rollins at WrestleMania 35, then I guess it’ll be the Architect’s time to shine at the Rumble. If not him, then Drew McIntyre. The Migz: Shane McMahon. NOT. As much as I’ve enjoyed Drew McIntyre’s recent push, I think it’ll be someone not currently in the main title picture. Slight similarities in our name aside, I’ll pick The Miz if only to see the roles reversed in Daniel Bryan vs. The Miz for WrestleMania. Who will debut/make a one-night appearance? Jofer: Kenny Omega. Just kidding. It’s probably going to be the longest reigning United Kingdom Champion Pete Dunne for that international flavor before he inevitably drops that title to WALTER (don’t quote me). No one from NXT UK has made a Rumble appearance yet and this might just be about bloody damn time. Ricky: NXT invasion, everyone? I’m thinking Johnny Gargano and Velveteen Dream will try and wreak havoc in the men’s Rumble, while Toni Storm and Io Shirai should be enough to create chaos in the women’s Rumble. Hell, if they can find space, add Rhea Ripley to the mix. And this is a stretch, but how about an appearance from the Hall of Fame-bound Undertaker? Camus: NOT KENNY. Just stop. 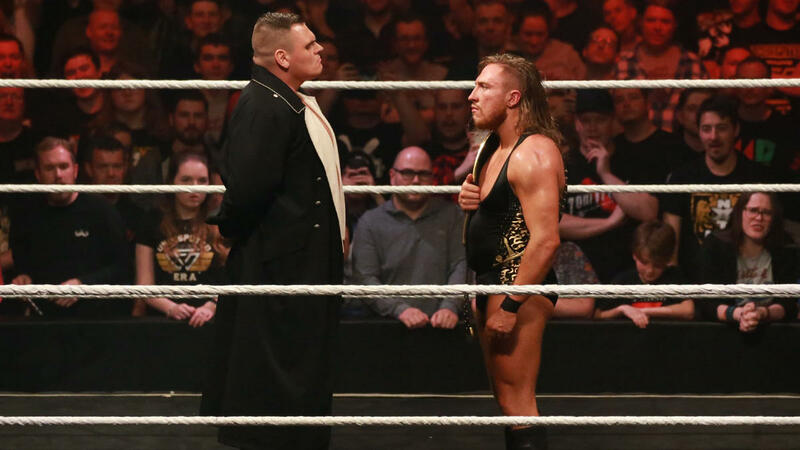 But in all truth, a one-time Rumble appearance by WALTER would be something special, even if he has already signed as of NXT UK Takeover Blackpool. That would be grand, to say the least. Tito E: Even with Mysterio, Andrade, Adam Cole, and The Hurricane last year, WWE seems to be making the Royal Rumble Match less about surprise entries than they did in the past. After all, their roster’s never been bigger. That said, if there’s someone making a “surprise entry” at the Rumble this year, I’m guessing it’ll be a Hollywood star—Batista and/or The Rock. The Migz: Do people from NXT count? If so, the most obvious choices are Aleister Black and Velveteen Dream. If not, I’m bandwagoning on Tito E’s pick. Batista sounds like a good pick what with a bunch of Marvel movies coming out soon—that and they did tease a Triple H confrontation on SmackDown 1000.
Who will make a surprise comeback from injury/retirement? Ricky: We gon’ see a brand new breaky version of Bray Wyatt, I guarantee it! Jofer: Kevin Owens and Sami Zayn. These two will be returning to WWE programming soon, so what better way to have them back on a high note than dropping them in the Rumble? Owens and Zayn might be annoying (Owens should be fearsome, to be honest) heels, sure, but they’re also exceptionally talented wrestlers. Keep that Intercontinental Championship nice and warm, Bobby Lashley and Lio Rush. Camus: Please let it be Sami Zayn. Tito E: KO and Sami. The Migz: My obvious pick would have been Big Show just because. On a personal level, I’d like to see Bray Wyatt and/or Matt Hardy (who has flat out said he was NOT retired) come back and make their presence felt. I would’ve also picked Trish Stratus and Lita but they’re almost always on every card as a special attraction these days so it’s not surprising anymore. Who will form alliances and who will betray whom? Jofer: Hmm. This is a hard one, but I think The IIconics would definitely form an alliance in the Women’s Rumble (because Women’s Tag Team Championships in February) and maybe the Riott Squad might find themselves betraying each other? I mean, they haven’t been on a roll as a stable lately, even though I actually like them, so maybe someone gets the idea and blah blah blah. For the men’s, I’m going with the safe answer in New Day obviously forming that alliance and maybe Bobby Roode and Chad Gable betraying one another in a “friendly” way. I did say this was a hard one. Ricky: Hopefully, this will happen this year: Drew McIntyre, Heath Slater, and Jinder Mahal will try to eliminate a few people before McIntyre eliminates his former 3MB jabronis by himself. Simultaneously, if possible. Camus: Hard to say, but I think we get a good segment with Drew and Ziggler for the continuity. The Migz: I agree with Jofer that Bobby Roode and Chad Gable would make sense for a betrayal. It would make a good starting point for a feud and to also reboot the tag team division. For the women, I’ve got a feeling Mandy Rose turns on Sonya DeVille yet again after a short alliance. Who will somehow make history or break a record? Jofer: Drew McIntyre will most likely eliminate a lot of people. I mean, he at least gets to do that, right? Ricky: Titus O’Neil will slip and slide for the second year in a row. Tradition! Camus: I'd think this is something more likely to happen in the Women's Rumble with someone like, say, Mickie James for the longest time spent in the Women's Rumble. The Migz: I expect Charlotte to set the record for most eliminations in the Women’s Rumble. She definitely isn’t winning this one so this is a consolation for her. Who will be the 60-Minute Man/Woman? Ricky: I want AJ Styles to cut a deal with Vince to give him a spot in the Rumble. The catch? He’ll be the first man out. If he ends up winning, he’ll be the more-than-60-minute Man, that’s for sure. For the women, I feel like Ember Moon will be handed a much earlier spot. Jofer: Mustafa Ali. He’s tagged with Rey Mysterio, pinned Daniel Bryan, and his get-up inspires Seth Rollins comparisons, so why not make him the Heart of the Royal Rumble Match by turning him into the 60-Minute Man? For the women's, I’ve got my heart set on Nikki Cross surviving the longest, but she'll probably just eliminate herself for the lulz. Camus: You know who would be fun in this spot? Rey Mysterio. He's done it before and allowing him to do it again, reclaiming his record (Daniel Bryan currently holds that honor) of being in a Rumble the longest washes out the stain of that GRR record. Tito E: Seth Rollins. Have him do a Shawn Michaels by entering at No. 1 and lasting till the very end of the Rumble. If there’s someone on today’s roster who can pull off such a feat, it has to be him. The Migz: Andrade. I’d love to see him get showcased more and this is that opportunity. Plus, it sort of ties in with my Rumble winner pick, The Miz. Let Andrade and Miz be part of the final four, Miz eliminates Andrade, short pre-WM feud between the two and voila. Who will be part of this year’s set of Final Fours? Jofer: For the men's, I'm going with Andrade, Seth Rollins, Drew McIntyre, and Samoa Joe. For the women's, Becky Lynch, Ember Moon, Charlotte, and Nikki Cross. Ricky: Jofer and I almost had the same picks, but I’ll switch Andrade with R-Truth and Ember Moon with Carmella. C’mon guys, their Mixed Match Challenge victory should amount to something. Camus: Drew McIntyre, Seth Rollins, Shinsuke Nakamura, Samoa Joe. Women's side: Charlotte, "The Man" Becky Lynch, Shayna Baszler, Bayley. Tito E: Seth Rollins, Drew McIntyre, Samoa Joe, and Rusev for the men. Becky Lynch, Charlotte Flair, Ember Moon, and Shayna Baszler for the women. 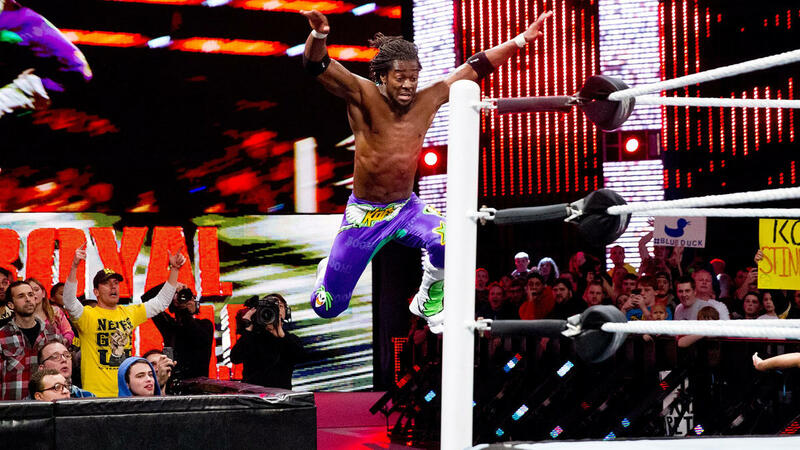 What will Kofi Kingston’s annual Rumble spot be? Ricky: This didn’t happen last year so I’ll say it again: Kofi Kingston will land on a pile of pancakes. Book it, Vince! The Migz: Didn’t Kofi do the pancake spot already? How about Titus tripping again and Kofi stepping on Titus? Convoluted, I know, but, it’s going to be memorable if it happens. Jofer: He jumps on Otis Dozovic's back and ends up back on the apron after Otis tries to get him off. Camus: I actually want to be surprised by this one. But let it please involve cereal. Ricky: If Finn’s a thinking man, he will unleash Demon Finn to take on Brock Lesnar. C’mon, people. Let’s unseat Lesnar already. He can still have a match at 'Mania without hogging RAW’s main championship, right? Let’s keep the fire that Roman Reigns ignited burning, shall we? Camus: KILL THE BEAST, FINN. Brock has held that belt captive for too long, too many times. Put it on a man who's proven he is worthy of holding that belt again. Tito E: Definitely, I would love it if Finn Bálor finally became a two-time Universal Champion and gave the WWE Universe a fighting champion for RAW’s top title. But realistically, I see WWE giving Brock Lesnar the win because they see dollar signs in him at WrestleMania. Still, it’s a good start for Bálor, and if all goes well, this will be far from his only shot at main event gold. The Migz: I’d love for Finn Bálor to get an Eddie Guerrero moment but I’ve got a feeling this isn’t the time yet. This match was basically made on a whim to protect Braun Strowman so as much as I dislike saying this, Brock Lesnar for me. Maybe next month, guys. Ricky: Daniel Bryan. For sure, D-Bry will keep the title until April. Part of the reason why SmackDown Live is exciting right now is because Bryan’s potential opponent for WrestleMania could be anyone. I’m fine if we get Styles for Mania, but I’m also open to new faces. But in order to make that perfect Mania moment, Bryan needs to remain champion. Jofer: Daniel Bryan is definitely retaining his title here. There are no signs of him dropping the title back to AJ, so I'm going with that. Chances are, he gets into a WrestleMania feud with Andrade and Brie Bella counters Zelina Vega and what-not. ...I’m regretting that already. Camus: I would like to see D-Bry continue his reign. It feels like it's too soon for him to drop the title to AJ, and I would like to see him face Nakamura at 'Mania. Mr. Styles may be the odd man out come WrestleMania, but if it means we see that dream feud at his expense, so be it. 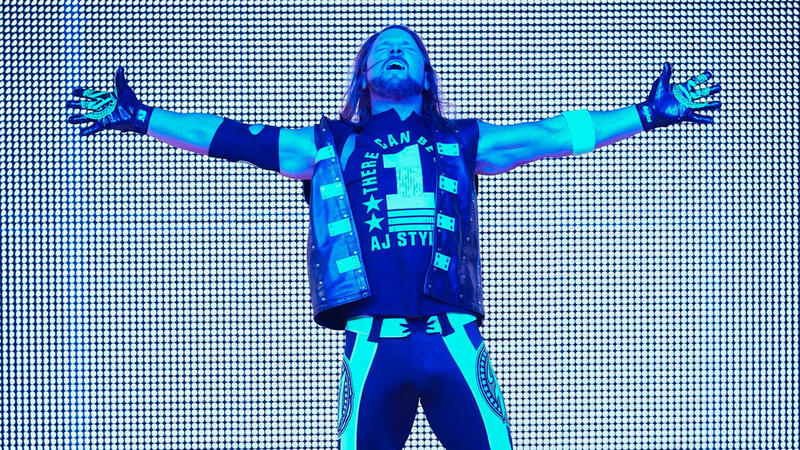 Tito E: The New Daniel Bryan is 2008 Jericho, CM Punk, and his own brand of self-righteous activism rolled into one—he’s simply the best heel WWE currently has. 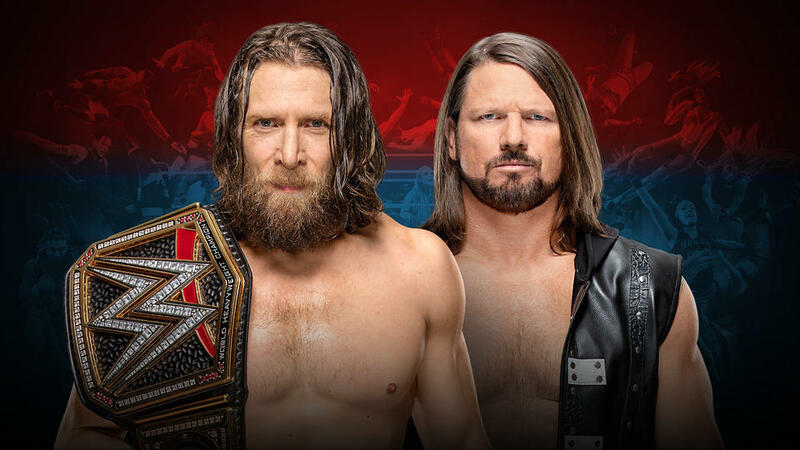 I agree with Camus – have D-Bry beat AJ and move on to a new opponent at ‘Mania, hopefully a babyface Nakamura. Heel Shinsuke was fun at first but got old and boring real quick. The Migz: Daniel Bryan. I think we should finish the AJ vs. Bryan feud here and move forward with my Miz vs. Bryan WrestleMania moment theory. Of course, I’d love to see Bryan defend the title against Mustafa Ali at Elimination Chamber as a quick pre-WM feud. Ricky: Asuka. Of course, it’s her, are you kidding me? We just successfully revived her hype as SmackDown Live’s meanest female wrestler. She has to retain somehow. Let’s just hope she won’t squash Becky Lynch too much. I’ll take a her-foot-was-under-the-rope or ref-didn’t-see-her-kick-out type of victory. It saves the two of them from looking weak. Asuka can even cheat her way out of it now that she's turned heel. Just sayin'. Jofer: Asuka needs to retain her title here. 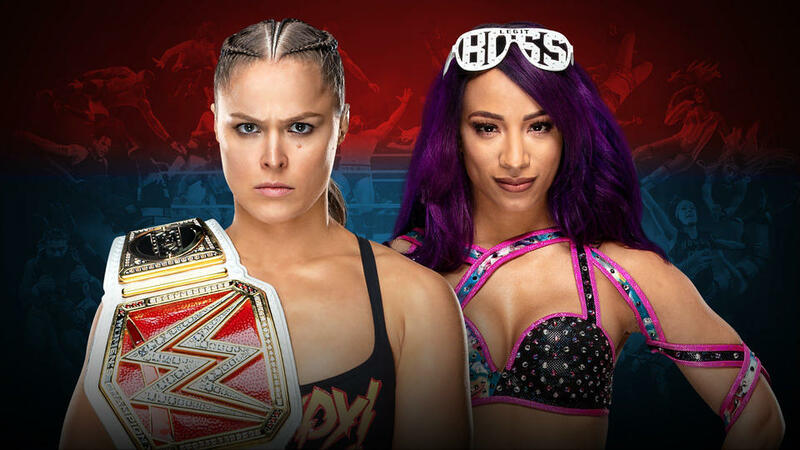 It's her first PPV title defense since her victory courtesy of RAW Women's Champion "Rowdy" Ronda Rousey and a victory here would make her reign less "undeserved." Camus: Again, I will use the “they need a longer reign” card here with Asuka. The Empress of Tomorrow has a story to tell, and if she defends convincingly enough against "The Man" Becky Lynch, all the better. Asuka has just returned to the primetime, and I hope she retains. Tito E: This better not be a pity reign for Asuka. We need WWE to make it feel like she’s really the SmackDown Women’s Champion, and not just someone playing second fiddle to The Man and The Queen despite the title ‘round her waist. She needs to retain convincingly at the Rumble, ‘nuff said. The Migz: Asuka. She needs this. Put her over, have her win her match at WrestleMania as well. Lengthy title reign please. Jofer: Ronda Rousey. Sasha Banks is simply going to be the third WWE Horsewoman to face Ronda on the road to that Horsewomen versus Horsewomen face-off. I'm not a fan of that feud this early in the MMA girls' career, but as long as Becky gets to tap someone out, we should be good, yeah? Ricky: Ronda Rousey. There’s no way Ronda Rousey will lose the title before WrestleMania 35 because Becky Lynch can’t main event the show alone. Sorry, Sasha. Still, I believe this will be the low-key match of the night. It’s not like Sasha’s gonna lie down for the pin. Expect another set of reckless spots from our favorite daredevil. Camus: My headcanon now consists of a Ronda/Becky WM feud. For that to happen, Ronda Rousey needs to retain here, at the expense of Sasha “The Filipina Princess” Banks (look it up, it's a thing... and I'm running with it). Sasha's return to the title picture is welcomed, and I would like to see her push Ronda, but her destiny seems to lie with Bayley as inaugural Women's Tag Champs. Tito E: As nice as it is to see Sasha Banks relevant in singles competition again, I likewise agree on this one—The Boss appears headed for a Women’s Tag Team Championship run with Bayley, so Ronda Rousey will retain. If anything, this should be a well-worked match. The Migz: Ronda Rousey. Unanimous decision by everybody. Ricky: The Miz and Shane McMahon because a positively charming storyline of an unlikely duo becoming an efficient unit should have a satisfying conclusion. No need for a sudden breakup or any other stupid twists and turns with this one. Here’s hoping that Miz’s most successful babyface run ends on a happy note. Jofer: The Miz and Shane McMahon. I don’t know. I just have a gut feeling this is going to be a victory for the unlikely allies. I don’t like it but I think it’ll be how things unfold. Tito E: I’m still not onboard the Miz/Shane hype train, if one does exist. This is one reason why Daniel Bryan has overtaken Miz as WWE’s best heel, as I’m simply not digging his infatuation with Shane, even if it could mean a breakup and a ‘Mania match between the two. That said, Miz and Shane beating The Bar for the blue brand’s tag titles is the next logical step for this storyline. The Migz: The Bar. Then bring back the Bludgeon Brothers next month (if they’re ready) or Heavy Machinery on SmackDown Live. I can’t pick The Miz as it’ll ruin my fantasy booking–unless it’s a DQ win. Ricky: Rusev. And hopefully, this will be the end of it. I want Rusev to continue tearing it up in the midcard and Nakamura to travel back to the main event scene where he’s supposed to be. Remember when he won the Rumble last year? Yeah, keep trekking, Kinshasa guy. Jofer: Rusev. 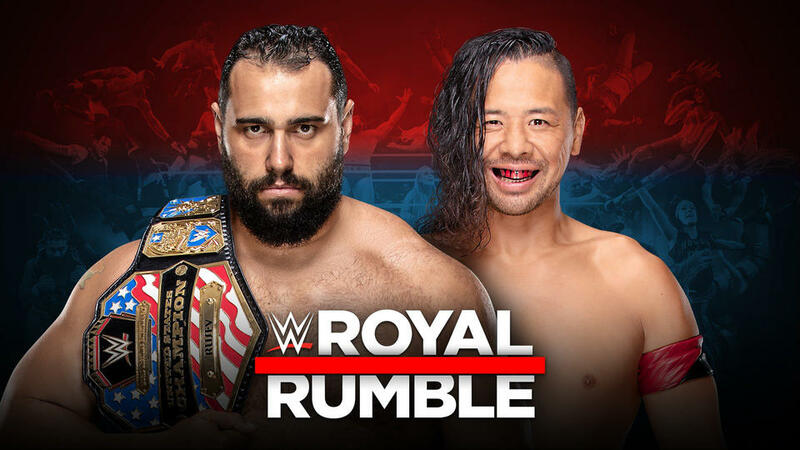 I originally picked Shinsuke Nakamura to win back the title but then I realized something: Nakamura would be better off facing The NEW Daniel Bryan in a knee-to-face match at WrestleMania. Besides, this match was relegated to the pre-show and I don’t think they’d go with the title changing hands on the pre-show. The Migz: Rusev. Happy Rusev Day! That is all. It’s not too late to jump on the Rusev train. Tito E: Rusev will retain on Rusev Day, which is the day of the Royal Rumble, and after this loss, WWE had better put effort into booking Nakamura like a future main event champ. Jofer: Buddy Murphy. I actually want Hideo Itami to win this because he’s a legend but I’m thinking his new thing with Ariya Daivari is still a little too early to propel into the Cruiserweight Championship picture? Besides, Murphy is on a roll here and deserves more days to his title reign. Maybe Daivari helps Hideo cheat? But Murphy is a heel… Oh, no. My brain hurts. Ricky: Hideo Itami, just for the hell of it. It’s going to be one awesome kickoff match, for sure. 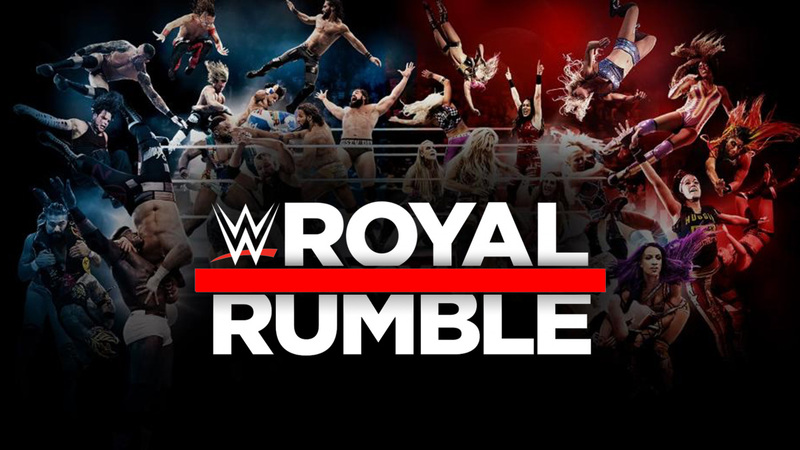 WWE Royal Rumble 2019 is happening live on Monday, January 28, at 6 AM, Manila time. If you'd like to experience what it's like to watch one of the WWE’s Big Four shows with hundreds of other screaming Filipino fans, join us at Skinny Mike's Sports Bar at 32nd Street cor. Justice Drive, Bonifacio Global City, Taguig. Entrance costs P320 and can be paid at the gate. One free drink will be given. Official event details can be found here. What do you think about our Ruthless Roundtable's predictions? Drop us a hot take or three in the comments below!